Item number 3260/127 from the MOA: University of British Columbia. 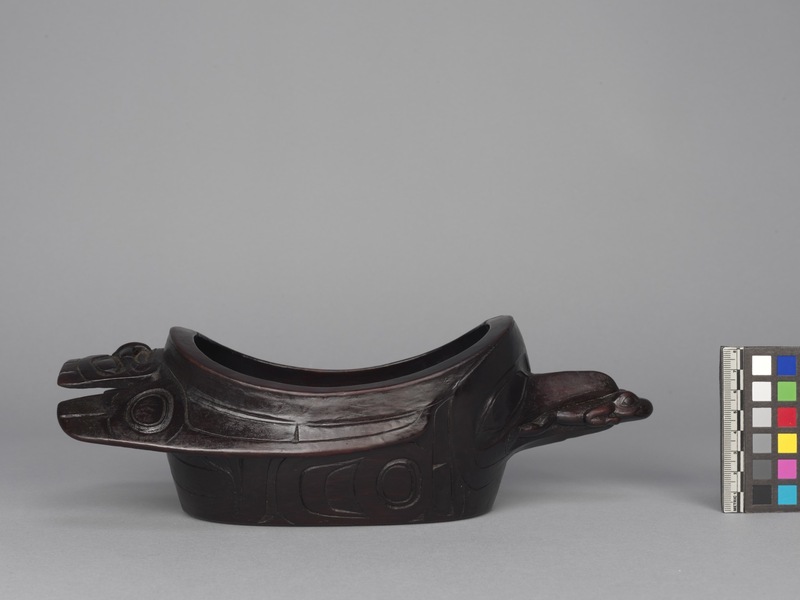 Dark brown grease bowl carved in the shape of a bird. 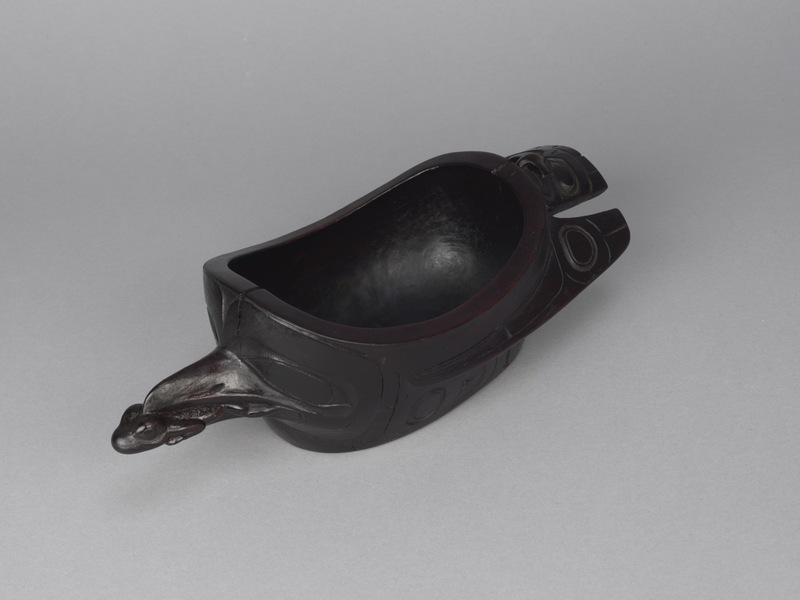 The bird's head and tail extend beyond the oval bowl, at either end. There is a small frog carved in the beak of the bird at the very front. A bird face is carved on the top of the tail and design elements are carved along the sides.